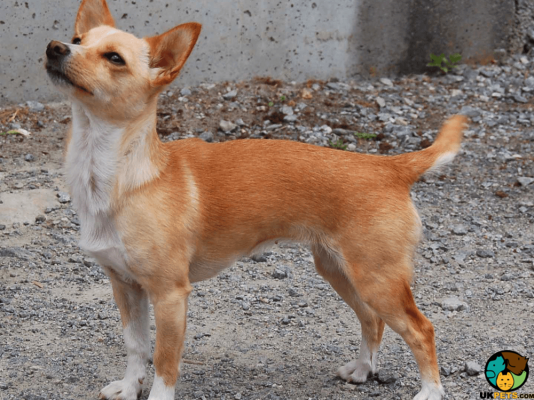 Searching for a Portuguese Podengo? The Portuguese Podengo is an energetic sighthound. It is the national dog of Portugal and comes in three sizes: small (Pequeno), medium (Medio) and large (Grande). The dog breed also sports either a soft hair or wiry hair. It is intelligent, lively and brave that excels in agility trials and makes an incredible family companion. It is loyal and courageous, which make them good watch dogs and guard dogs. 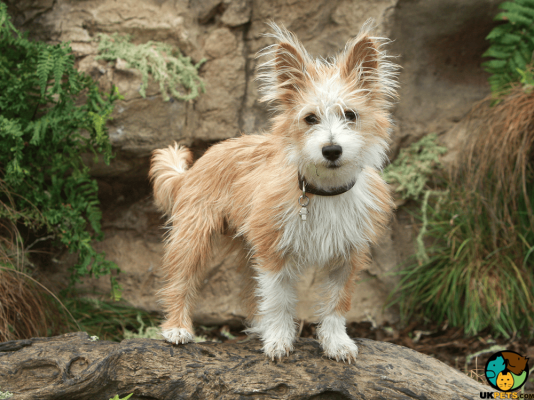 Are you planning to buy a Portuguese Podengo dog? Read on to find more about the national dog of Portugal. The Portuguese Podengo is believed to be descended from Pharaoh Hounds. They were brought by Phoenician traders to Portugal in 1000 BC to be prized hunting dogs. 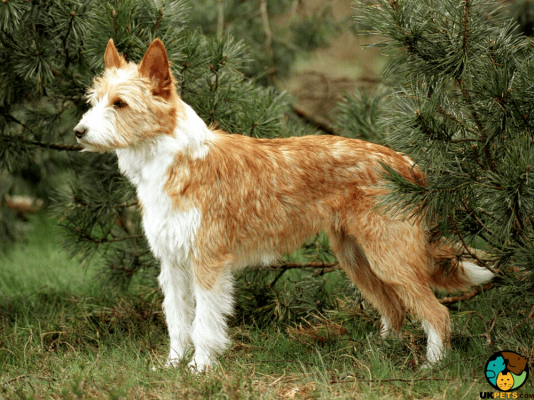 The name Podengo comes from the Portuguese word that means warren hound or rabbit hunter. The breed has been developed in Portugal since the 16th century and has been given the honour of being the national dog of the country. 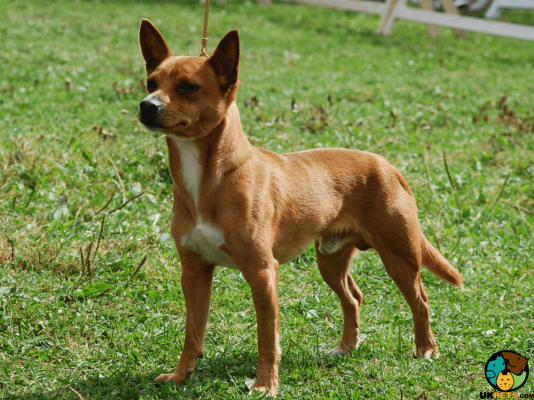 Portuguese Podengos are said to be a member of the pricked-ear hunting dogs that are native to the Mediterranean along with the Pharaoh Hound (Malta), Ibizan Hound (Balearic Islands) and Podenco Canario (Canary Islands). The Portuguese Podengo comes in three sizes: small (Pequeno), medium (Medio) and large (Grande), with the Grande being the original version. In some countries, the Podengo Grande is often paired with Mastiff-type hunting dogs. The Medio became a distinct variety before the 11th century, whereas the Pequeno is believed to have been created during the reign of King Alfonso I in the 1140s. All three Podengo size varieties are substantially identical in physical features except for the size and two coat types (smooth-haired and wiry-haired). The three size varieties include Pequeno (8 to 12 inches; 9 to 13 pounds), Medio (16 to 12 inches; 35 to 44 pounds), and Grande (22 to 28 inches; 44 to 66 pounds). The Medio and Grande have square-proportioned bodies, while the Pequeno is slightly longer than it is tall. The Portuguese Podengo has a primitive appearance that is typical of native Mediterranean dogs. It has a lean, wedge-shaped head either flattened or rounded like the Chihuahua. Its muzzle is slightly long and tapers somewhat towards the nose. The nose is a darker colour than the rest of the body. It has almond-shaped eyes which range from honey to amber brown. The ears are large, triangular-shaped and pricked, but point out to the sides. As previously mentioned, Podengos come in two distinct coats, smooth-haired and wire-haired. The Smooth-Coated Podengo has a short-length coat that is dense and smooth, while Wire-Coated Podengo has a medium-length coat that is rough and coarse. Also, wiry coats often wear a distinctive beard and moustache. All sizes of the Podengo come in shades of yellow or fawn, either solid or with white markings. Smooth-coated Podengos are easy to groom and will only require a weekly brushing or a wipe over using a chamois leather. On the other hand, Wire-coated Podengos will need to be frequently brushed, at least 2-3 times a week. 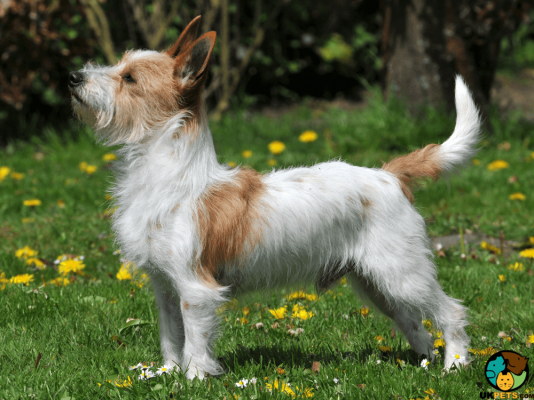 However, both coat types shed steadily throughout the year especially during autumn and spring, and as such will require frequent dog grooming. Other basic care is also required such as cleaning the dog’s ears, brushing its teeth and trimming its nails. The Portuguese Podengo is a jolly, multipurpose, lively dog with a strong desire to please its family. It is also active, intelligent and has the energy and stamina to be an efficient hunter, able to hunt alone or in packs. Podengos are easy to train especially when given firm and consistent training at an early age. However, they have high prey drive, which means care should be taken when it is around smaller animals, including cats. Podengos are independent and skittish around strangers, although they are generally affectionate. These dogs need to stay actively engaged in an activity with people or other dogs to be mentally and physically fit. They are also known for their quirkiness and will run around the house or engage in many amusing antics. Podengos are terrific family pets and companion dogs – they are loving to their family, patient with the children and fearlesswatch dogs and guard dogs. However, supervision is a must during interaction between the dog and the children to keep playtime safe and calm. A typical serving for an adult Portuguese Podengo will vary depending on its size: Grande – 1 1/2 to 2 1/2 cups, Medio – 1 1/2 to 2 cup, and Pequeno – 1/2 to 1 cup of high-quality dry dog food a day. The best thing to do is consult a veterinarian, so you can be sure to provide the balanced diet your dog deserves. Since the Portuguese Podengo comes in a variety of sizes, it is only natural to buy commercial dog food that is formulated to the dog's size and activity level. Other than that, home-cooked meal or commercial dog food should be rich in animal protein that supports muscle growth. With a lifespan of 10 to 12 years, the Podengo is a generally healthy dog breed until health disorders strike, which is highly possible. To come up with preventive measures, make sure you consult with a veterinarian regarding signs and symptoms attributed to the following diseases that affect the Podengo: Hip and Elbow Dysplasia, Legg-Perthes Disease, Epilepsy, Luxating Patellas, Demodicosis, Ear Problems and some allergies. 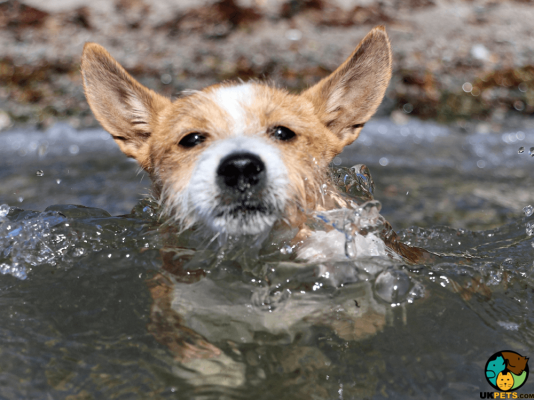 The Portuguese Podengo is intelligent and highly energetic, which means it needs the right amount of exercise and mental stimulation to be a happy and well-adjusted dog. Podengos will require at least 40 minutes of daily exercises but only in safe and secure environment. When not given enough exercise, the Podengo will become bored and as such will be prone to destructive behaviours. 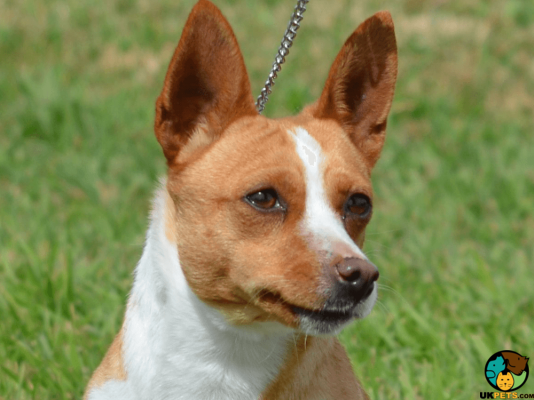 If you are planning to buy a Portuguese Podengo, prepare to register your interest with breeders and be put on waiting list, since only a limited number of puppies are bred and registered each year. 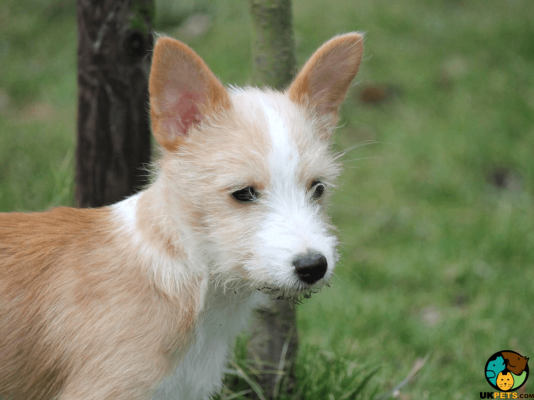 You would need to pay no less than £500 for a well-bred pedigree Podengo puppy. The pet insurance cost would be £26.99 a month for a basic cover and £52.55 a month for a premium and lifetime coverage. 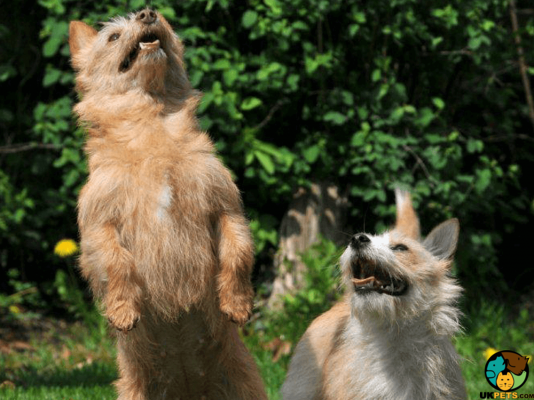 When it comes to how much budget to set aside for food, you need to buy the best quality food that is formulated for the different size varieties of the Podengo. Regardless, food cost will set you back £20 - £30 a month. In addition to all this, you need to factor in veterinary care costs, which include regular check-ups, initial vaccinations, annual boosters, and neutering, all of which will cost you over £900 a year. As a rough guide, the average estimated cost to buy and raise a Portuguese Podengo would be around £60 to £90 a month. 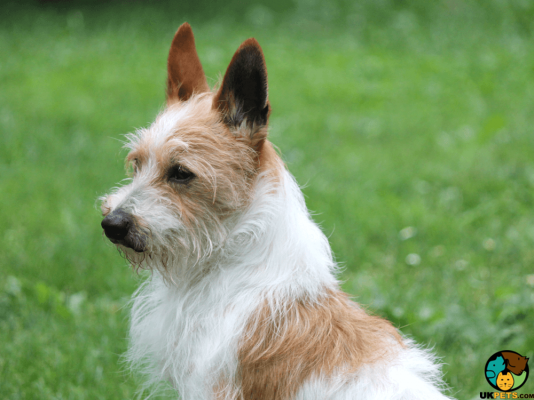 Is a Portuguese Podengo Right for You? The Portuguese Podengo is an energetic sighthound. It is the national dog of Portugal. It comes in three sizes: small (Pequeno), medium (Medio) and large (Grande). 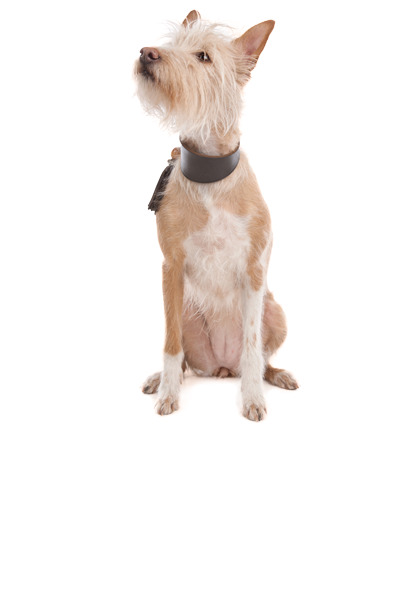 It has two distinct coat types: soft hair or wiry hair. Podengos are intelligent, lively and brave dogs.